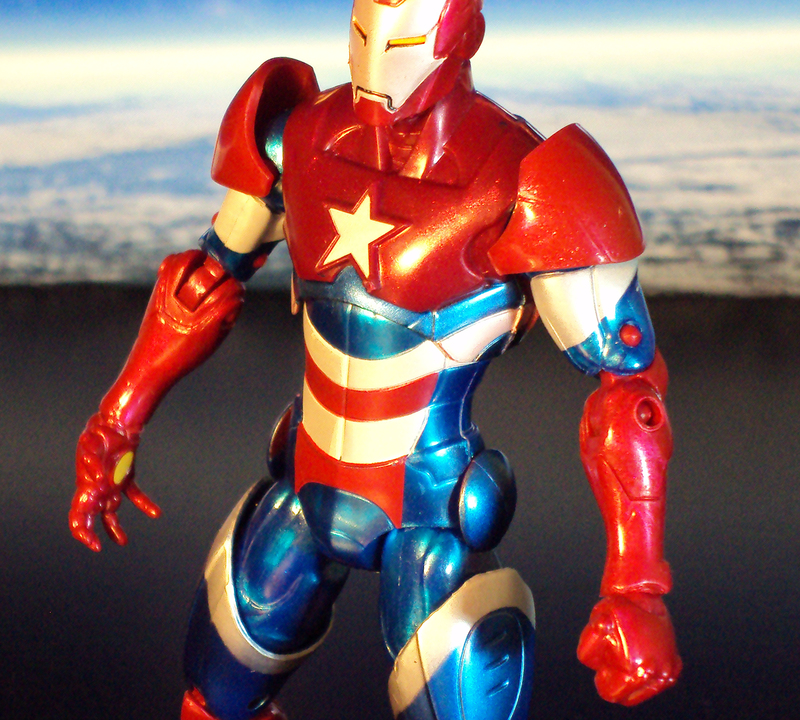 This is the Iron Patriot (Norman Osborn), part of the Iron Man 3 Movie (series 1) 6″ action figure line. 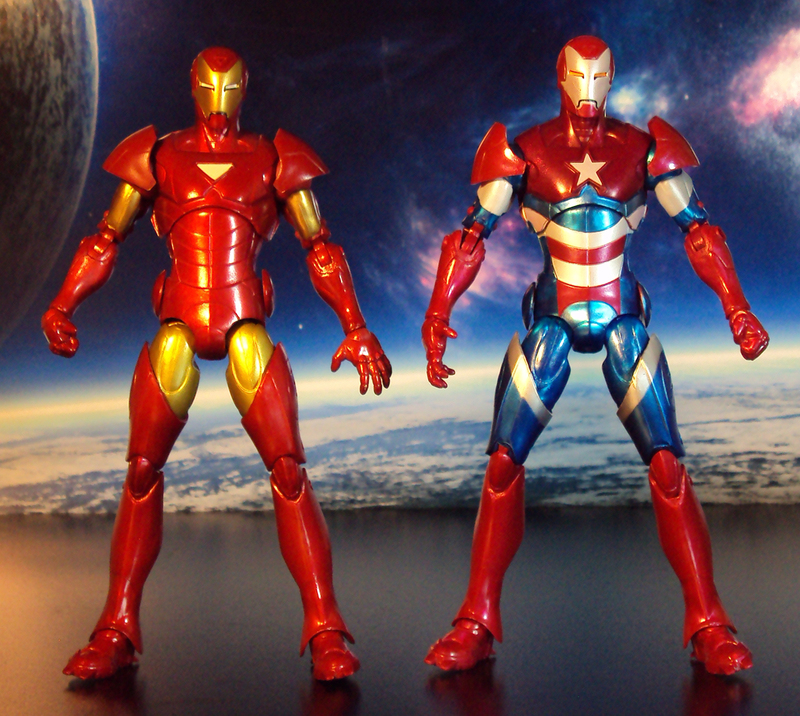 Yes, he is a repaint of the Marvel Legends Extremis Iron Man but I gotta say this figure looks much more dynamic with this patriotic color palette. He comes with a build a figure part for the Iron Monger. I got this guy loose without that part. As mentioned, the body mold is the same as the Extremis Iron Man. Which looks better in your eyes? 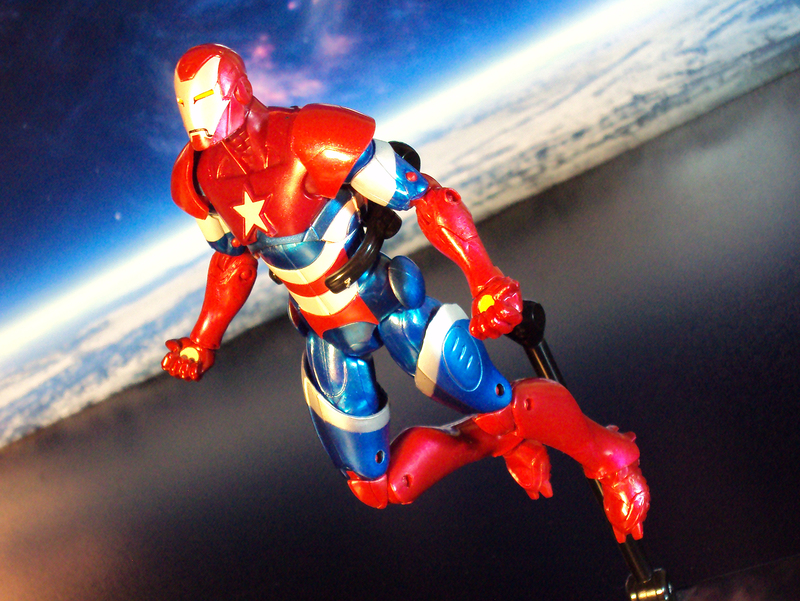 Loving the Iron Patriot a lot more in my opinion. 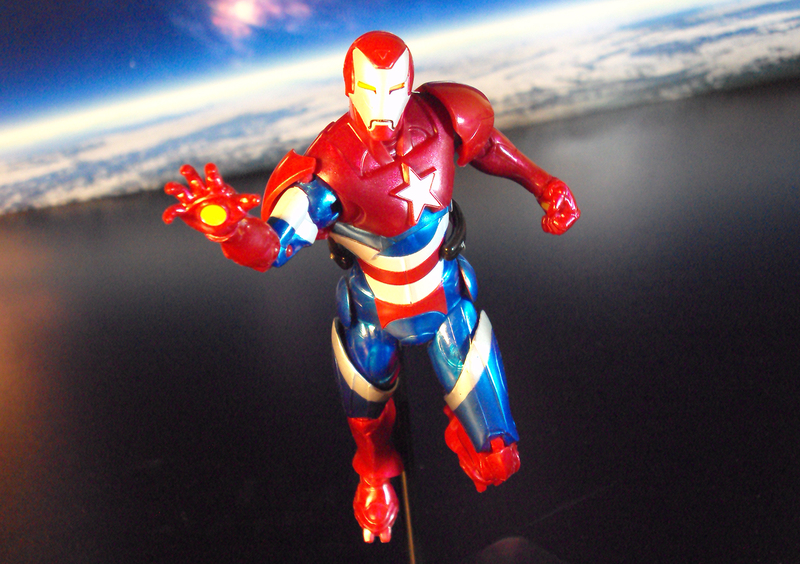 Instead of the triangle Arc reactor, Iron Patriot sports a Star shaped chest piece. The colors are descent enough: Metallic blue, red, pearl white, and orange colored eyes. The figure could have used an extra layer of white paint. In some areas like the lower abs and face plate, you can see a hint of the underlying color. The photos provided don’t really show this too well but in hand you’ll see it. The Red is a bit bright for my taste and could have been deeper in hue and metallic. 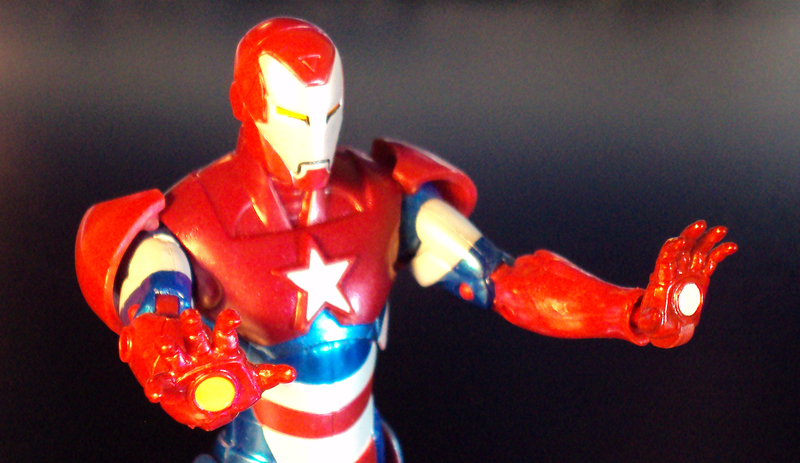 Iron Patriot has an open blast gesture right hand and a closed left fist. The Extremis Iron Man has the opposite. One nice creative bonuses you can do is part swap between the 2 figures for extra playability. You’ll have to deal with the power sources being different colors though (yellow and white). Articulation is Ok. Not much tilting range for the head. The leg articulation at the hips don’t have quite enough range of free motion for spread out leg poses, same can be said of the feet.